Gaur, or Indian Bison, are a close wild relative of domestic cattle. This powerful animal inspired the Krating Daeng (Thai for Gaur) energy drink, with its logo of two charging bulls in front of a setting sun. This in turn was the origin for the branding of the world’s bestselling energy drink, Red Bull. Gaur are strong and mightily built, with a high grey ridge on their forehead between their horns, which curve upwards from the sides of the head. Both sexes have horns. Gaur herds vary in size throughout the year because of the breeding cycle. At the start of the year they live in small groups of 8-11 females with one bull, but then, as the year progresses, more bulls may join the herd for mating, with certain males moving from herd to herd. During the mating season, the bellow of males can be heard over 1.6 kilometres away. In May and June these males move away from the breeding herds to wander alone or form bachelor groups. Females give birth to a single calf, usually between December and June. Asian Leopards and packs of Dhole will occasionally attack unattended calves or unhealthy individuals, but their main predators are the Bengal Tiger and Saltwater Crocodiles, which are able to bring down adults. However, as females usually live in herds and the solitary males are of such formidable size, Gaur have few natural enemies besides humans. 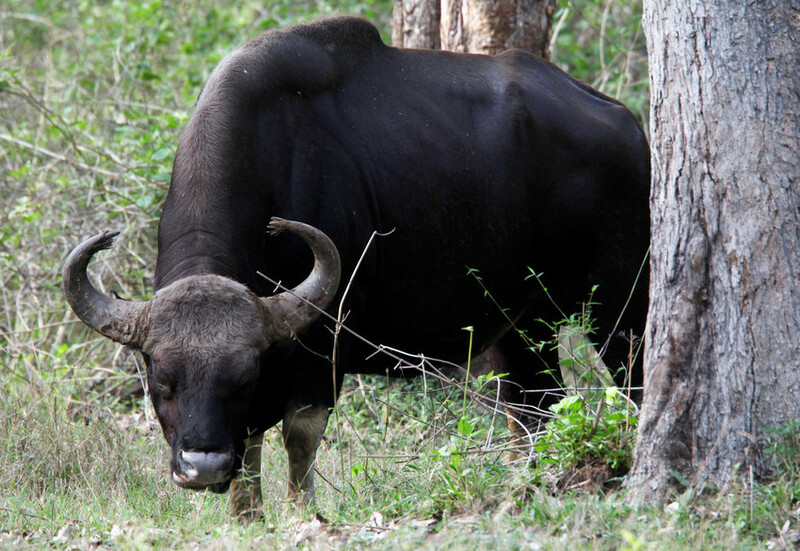 Gaur prefer to live in areas with glades and quite open terrain. 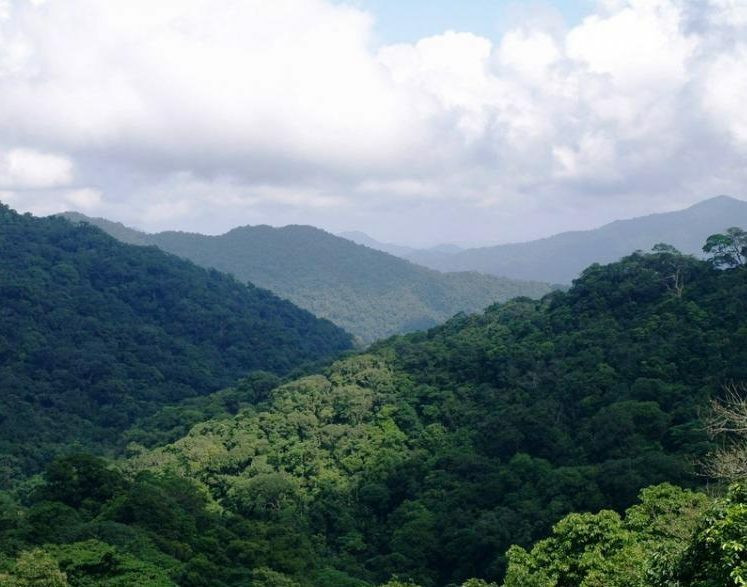 The best habitat is in low-lying regions, with undisturbed tracts of forest, water sources and abundant forage in the form of coarse grasses, shrubs and trees. Gaur are hunted for food, medicinal products and for their horns. The IUCN Red List has classed them threatened since 1986, as their population has declined over 70 per cent in some parts of their range. They are legally protected in all range states, and in addition, samples of their genetic material are now cryogenically preserved.